Trichocereus werdermannianus, also known as Echinopsis werdermanniana, is a columnar Trichocereus species from Bolivia. 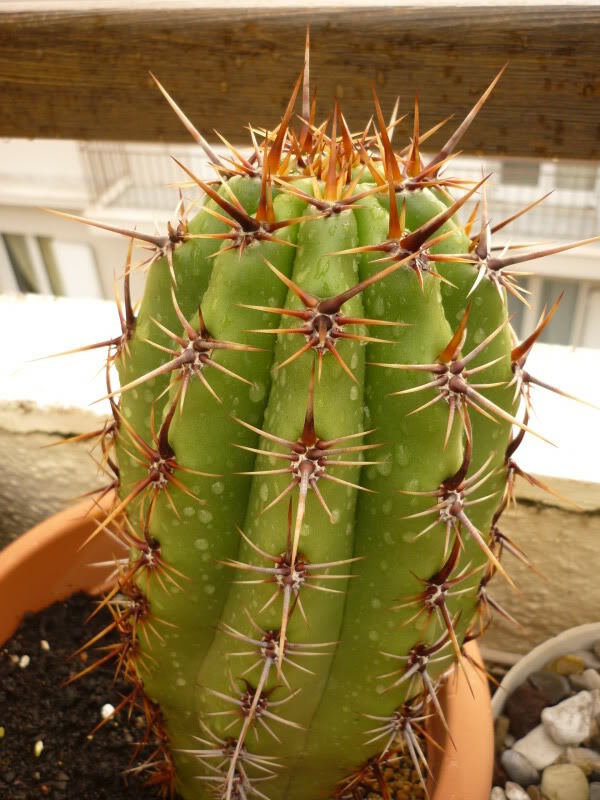 It is a close relative of Trichocereus terscheckii and I consider it an intermediate species between the large Andean Trichoereus terscheckii and Trichocereus taquimbalensis. Trichocereus werdermannianus is an old name that is debatable because it is so genetically close to Trichocereus terscheckii and might as well be seen as a regional form of it. The plant was discovered and described by Curt Backeberg, who named it after the German Botanist Erich Werdermann. Trichocereus werdermannianus is a species that is difficult to identify, and its similarity to Trichocereus terscheckii make it difficult to distinguish it from it. 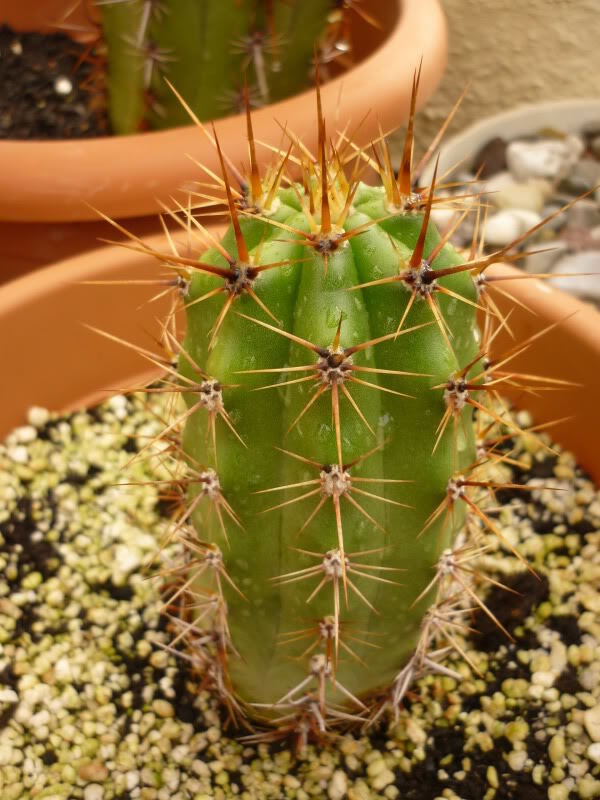 Apart from T.werdermannianus being mislabeled as T. terscheckii, they are also often labeled as Trichocereus taquimbalensis or tacaquirensis. 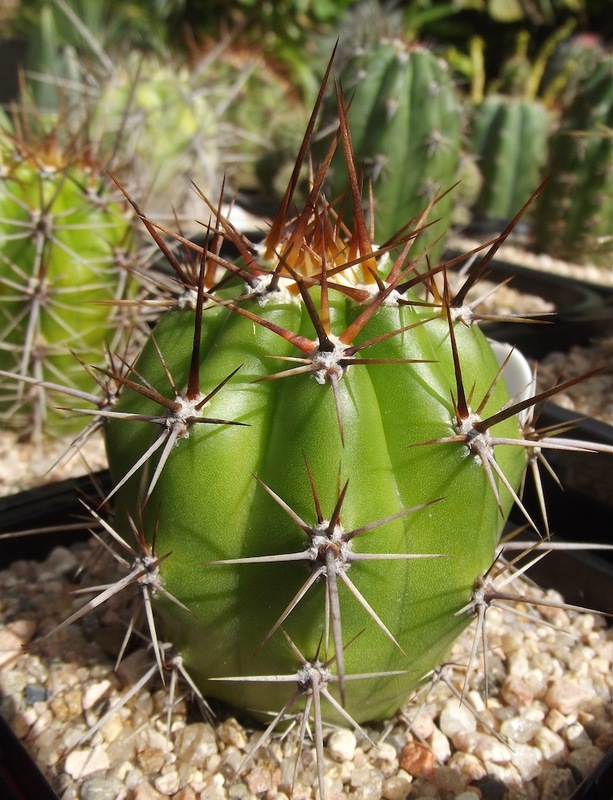 For example, there are a few seed & plant distributors that sell cacti labeled Trichocereus werdermannianus, and the plants we grew from them ended up being all kinds of species. 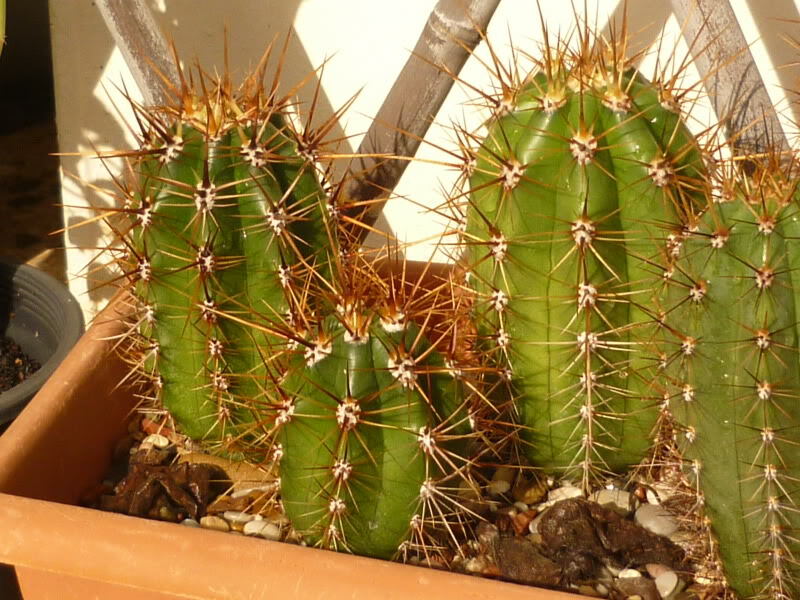 Trichocereus werdermannianus was sold as Trichocereus terscheckii, Trichocereus taquimbalensis, Trichocereus pasacana, Trichocereus peruvianus and Trichocereus macrogonus. 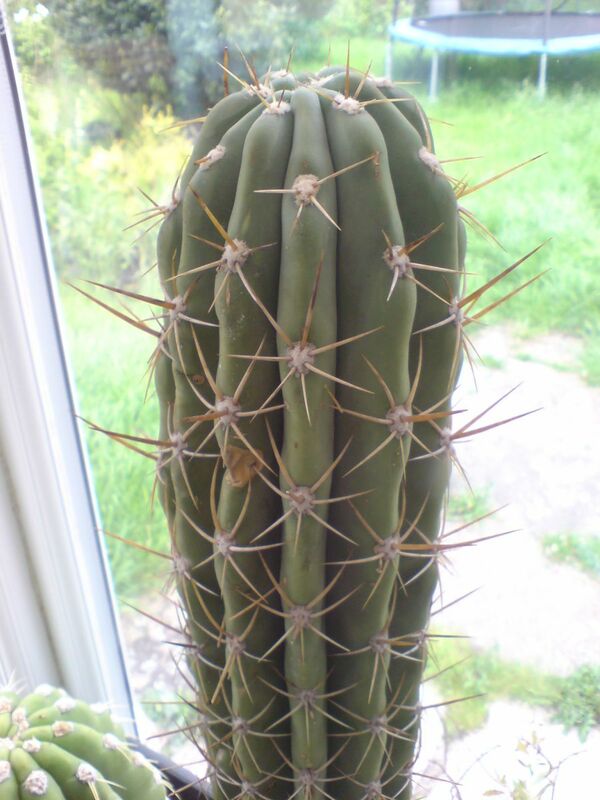 A very constant trait in all Trichocereus werdermannianus plants is the dark green to blue gray green color of epidermis, that is very typical for this species. 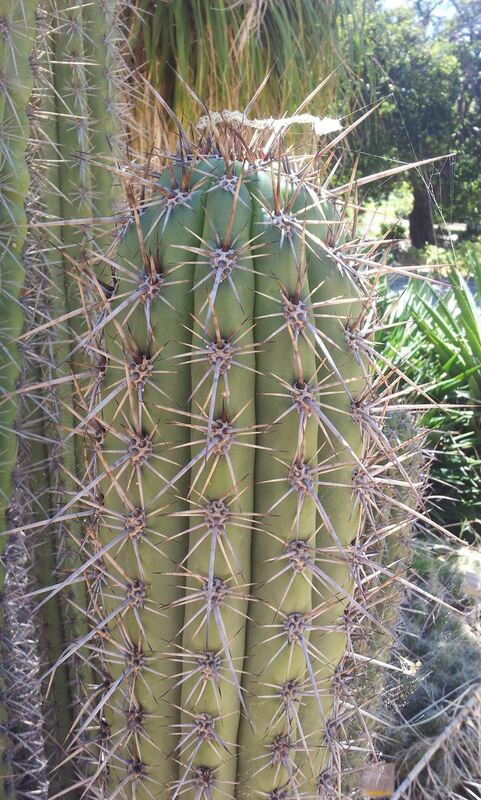 Most if not all specimens I ever saw had a very dark green epidermis and a spination that looks like a mix of Trichocereus taquimbalensis and Trichocereus terscheckii. I included the Description from Backeberg´s Book below. Backeberg acknowledges Trichocereus werdermannianus´genetic proximity to Trichocereus terscheckii and Trichocereus validus, but mentions that its flowers usually emerge from the top of the plant, while the two species mentioned before would have flowers that appear at lower regions of the plants body. 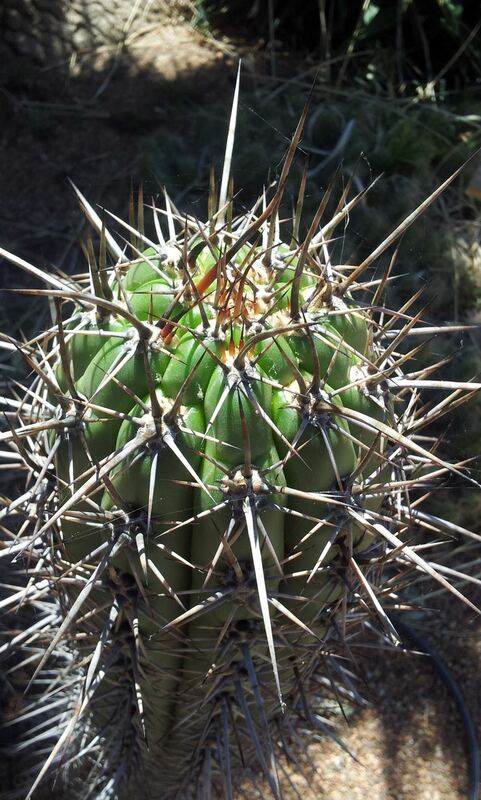 Based on these observations, we think that it should merely count as a form or variety of Trichocereus terscheckii. That is if we even go so far to split a species up based on such criteria. White, flowering from the apex, flowers similar to the flowers of E.terscheckii. The trees reach a size of 5 meters and a maximum diameter of 65 centimeters. Young plants have 10+ ribs while adult specimens can have 14+ ribs. The plant has ten spines that are between 5 and 10 centimeters long, color between yellow and yellowish brown. Many flowers that arise around the apex of the plant. The flowers can get up to 22 centimeters long, but the whole complex is very variable in this regard. The fruit is up to 4 centimeters in diameter and has many white or black hairs. The seeds of this species are usually 1,4 mm large, but that is also influenced by other factors such as region, plants that grow in direct neighborhood. Bolivia, the type location is in the Charcoma Valley east of Tupiza. However, the species is also present around Potosi. Backeberg suspected that Trichocereus taquimbalensis from the region around those aforementioned locations is actually Trichocereus werdermannianus. It is obviously related to Trichocereus taquimbalensis, but there are substantial differences between these two species. The first Two Pictures are in Fact the plant that Backeberg understood as Trichocereus werdermannianus. Pictures from the unspeakable Thunderhorse! 😉 In Front on the lower left: True validus! 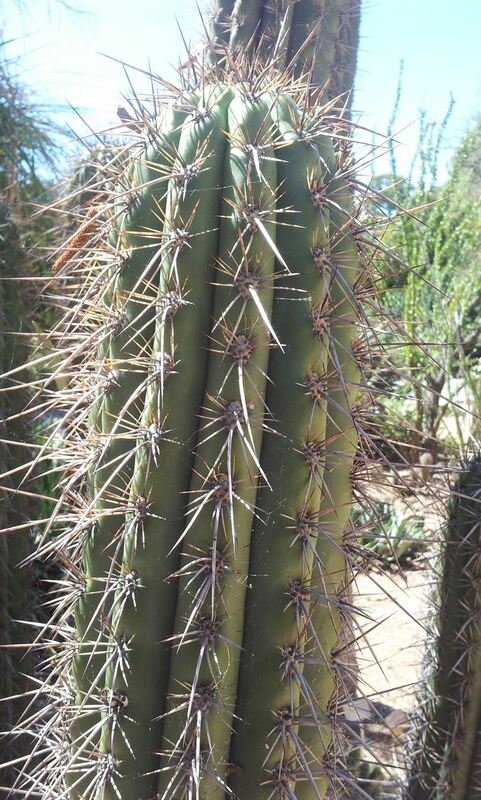 Please note that some pics on this page actually show plants labeled Trichocereus werdermannianus, but get very close to Trichocereus taquimbalensis. It´s probably not that easy to draw a firm line between these two species sometimes. Knize used this number for two plants. First, Trichocereus giganteus and then Trichocereus werdermannianus. Maybe he wasn’t sure about the ID, called it Tr. giganteus and changed it to Tr. werdermannianus later on. Both plants are collected in Otavi, Bolivia. Giganteus at 3200 Meters and Werdermannianus at 3500m. Pics: MUTANT. 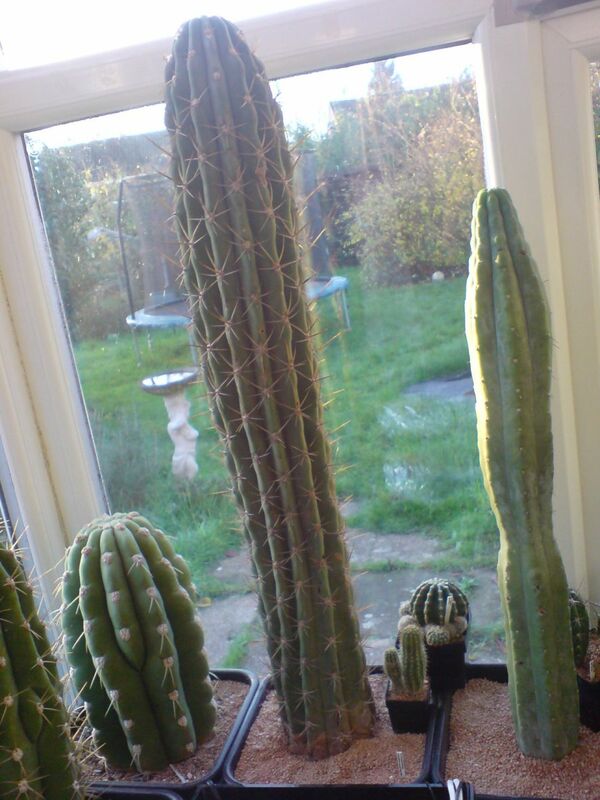 I own a Trichocereus giganteus KK1094, which ended up being a completely typical Trichocereus werdermannianus. This is Trichocereus Werdermannianus KK917 from Karel Knize. Pic from Rodni Kisar! 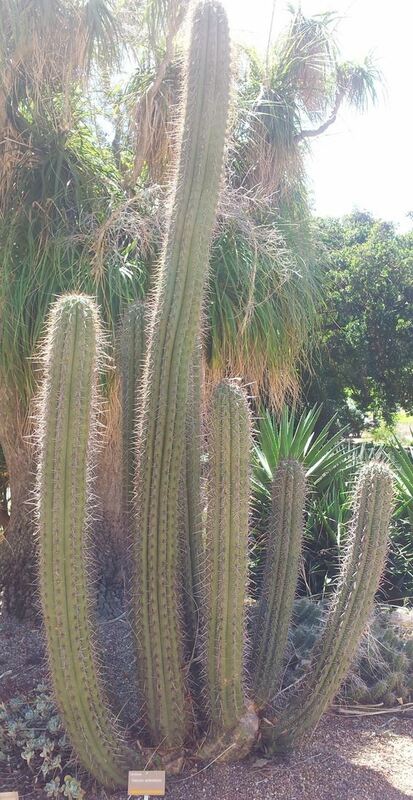 This One is Trichocereus werdermannianus in the Botanical Garden in Adelaide. Pic from ZED! Thank you Bro! The plant is very close to Trichocereus taquimbalensis. ist T. werdermannianus durch seine nur hochsitzenden Bl. eindeutig unterschieden. daher Trichocereus pasacana auch zu Helianthocereus gestellt. Er ist zudem Tagblüher, soweit bekannt.